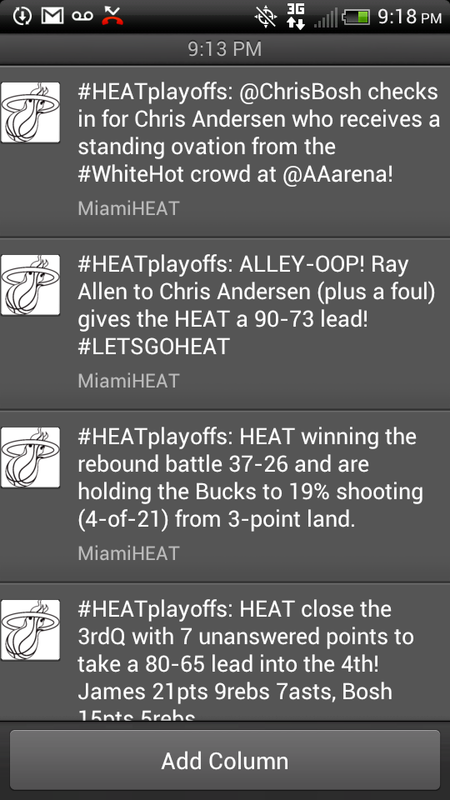 @MiamiHeat’s timeline on Twitter, 8:18pm April 21st, 2013. 4th quarter of Round 1 in the NBA Finals. 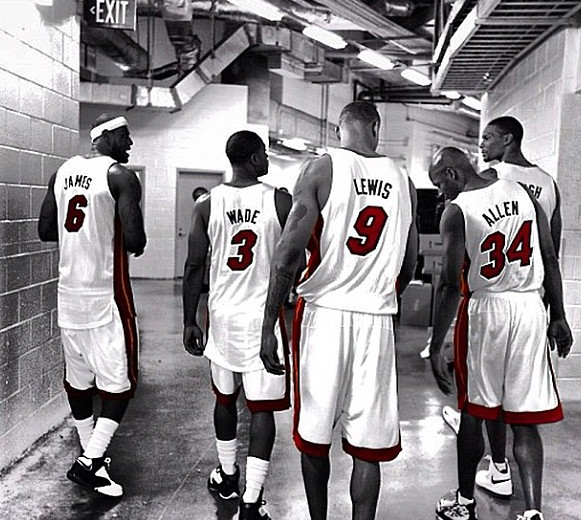 I think it’s safe to say the Miami Heat are advancing to round 2 in the 2013 NBA Finals. I can’t help but have a déjà vu from college at this moment. Just like a student should be cramming for a big exam they’ve been dreading over (8am comes pretty quick when you’re pulling an all-nighter), I’m working. Comparative market analysis. Counter-offers for sellers. Looking for killer deals on a home for a buyer. Even looking for a new home for us personally. Yeah, life of a Florida Realtor. I’m completely consumed by the Heat Game. So play on, @DwyaneWade, @KingJames, and @chrisbosh. You (continue to) make your fans proud. Looking forward to round 2 and another visit to the Final Four. … and that’s game. #MilvsMia. 110-87. #HEATWIN. #WHITEHOT! !